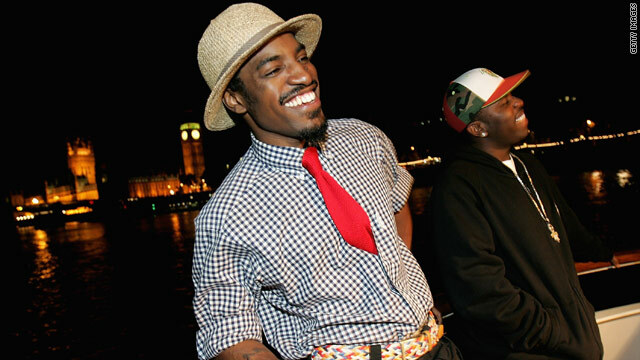 Andre 3000 (left) and Big Boi at their album launch party in 2006. It’s been almost 11 years since the world heard an OutKast album that heavily featured both Antwan “Big Boi” Patton and Andre “3000” Benjamin on the same tracks, but the duo has been keeping busy, says Grammy-winning OutKast collaborator Killer Mike. After 2000’s genre-bending “Stankonia,” the group released the diamond-selling Album of the Year, “Speakerboxxx/The Love Below.” It was a project that carried the OutKast name but featured Big Boi and Andre 3000 on two separate solo discs packaged as one. Let’s just say the frustration has reached its zenith and the need for both Andre and Big Boi to get back in the studio together is more dire than it’s ever been, Mike says. Thankfully, for fans and critics alike, that day may come sooner than you think. While Mike insists he’s more fan than expert, he let it be known that Andre and Big Boi are currently together. Mike also gave CNN some news about fellow Southern hip-hop legends Goodie Mob, who recently reunited with the return of their most recognizable member Cee-Lo. Funny, just heard Hey Ya the other day, and it made me wonder where Outkast had been. Looking forward to some new cuts. thank GOD! Kanye, Jill Scott and Beyonce can't do it alone! we need some more REAL artists! this sh!tt is exillerating! true LIVING LEGENDS. do it bigg boiz. GIRLS PASS ME NOTES ON STAGE THAT SAY I WANNA SICK YOUR DUCK! OutKast! I can't wait...should be some good stuff. About time they dropped another much-needed album. if they really blow it out... i mean really get into it... and tour with this album... i will travel anywhere in the world to be at the show. it would be a defining moment for me. i miss dem two dope boys in a cadillac. niice, outkast and goodie mob always put out good music. @evel the only thing your doing by asking dumb questions is proving that your too stupid to use google search.. I just bought that SouthernplayalisticCadillacMusic 2 weeks ago and Goodie Mob's soul food album a week after that. I can't get with these week altanta artist and that auto tune BS..It 's cool for the club but they can't make a whole cd full of good music. Can't wait to hear a new Outkast Album and Goodie MoB...Bout to get that SpeakBoxx soon too and that Black Ice.. The A hurting for some real..
You should learn how to speak English before running your mouth...........fo realz bro! How the hell did I miss Goodie M.O.B. reuniting for an album? And new Outkast in the works...?? I can get excited about hip-hop again! Its good to hear that Outkast is back at it. I guess they are tired of all the clowns out here putting out trash. That would light a fire in me to put out some real music too. Thank you Outkast! We miss you. Even Outcast isnt as FIRSTY! AS ME!!!!! !